Our tour representative will Meet you at your hotel in Aqaba (ETA 8:00 Am), driving towards the rose red city of Petra, passing through a vast and comfortable highway named the desert way, following through a scenic route on the mountain side well known as kings way. The biggest attraction of Jordan is Petra (ETA 11:00AM) Petra was first established around the 6th century B.C. 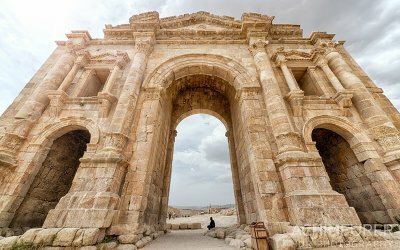 by the Nabataean Arabs, a nomadic tribe who settled in the area and laid the foundations of a commercial empire that extended into Syria. Upon arrival you will begin the trip on horseback to the canyon, the so called Siq, and then by foot to the most beautiful monument: the Treasury. Among other monuments you will see are the Street of Facades, the Royal Tombs and Pharaoh’s Castle. lunch at al baisn restaurant, departure time 14:00 getting ready to head to Wadi rum for a 3 Hrs Safari tour exploring the highlights of the desert and the real Bedouin experience after 3 Hrs of excitement you will be transferred to your hotel with good memories.